new jacket, originally uploaded by indiaeden. Eden and I went on a girly shopping trip today. We have both stopped biting our nails for one whole month so we went shopping for nail polish and other girly things. On our way home we popped into a charity shop,and I spotted this jacket. 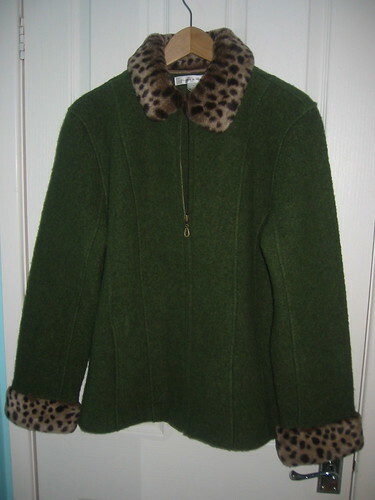 I was immediately drawn to the green wool,and thought I may be able to re fashion it into a spring jacket for me. I ordinarily hate animal print on anything,but to my surprise when I got home and tried it on,I actually rather liked the jacket as it was. I have already taken in the sides and arms a little to fit better,but that's all I plan to do.. 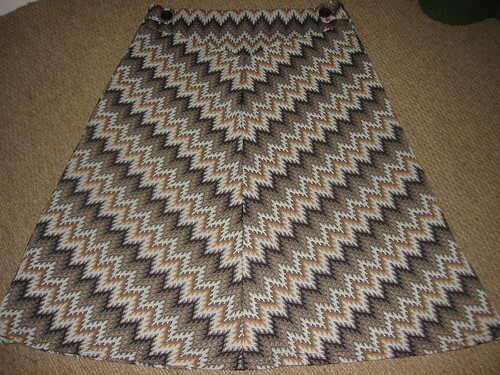 I also found this skirt,and no need for any alterations on that,it fits perfectly.